How To: Ultralight Fishing For Saltwater? Many people have the mindset that you can not ultralight fish for saltwater fish. I think that that is the furthest thing from the truth. Over the past month I have been doing a majority of my inshore and jetty fishing with an ultra light set up. 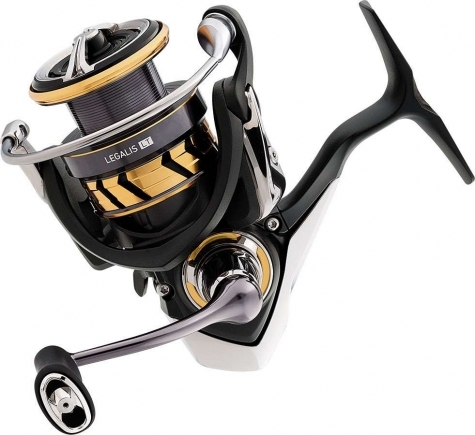 The reel I use is the Daiwa Legalis LT 1000. This reel holds around 135 yards of 10lb test braid and it has 8.8lbs of drag. The rod I use is a Cadence CR7 6-12LB Fast Action 7'2. This combo is quite light but very powerful at the same time. I have put this little rod and reel through some pretty rough situations and it has emerged victorious. I have caught everything from Big Jacks to Spanish and Redfish and Snook. I fish a lot in backwater creeks and bridges and most of the fish hang very close to structure. This little combo has the power to bring some nice snook and tarpon away from the bridges. The biggest fish I have put on this combo was a 8 or 9 pound jack on a super spook Jr. It almost spooled me once, but I got landed the fish after 5 minutes. On the jetties I use this set up to throw gotcha plugs and jerkbaits as well as free lining live shrimp. I have caught plenty of Spanish mackerel and cocktail blues on this combo and it is quite enjoyable. Hearing the sound of the drag screaming is one of my favorite sounds and it becomes an addiction time after time. This combo has also handled a few slot snook and reds at Sebastian Inlet. We like to free line the shrimp with a little bit of split shot and 40lb Bullbuster Flourocarbon leader to a 1/0 owner SSW cutting point hook. The fight is normally long with the some snook threating to spool you. But 9/10 if you know how to fight fish properly, you will land the fish. Ultralight fishing is a great option for saltwater fishing, it allows the angler to challenge themselves in new ways.